As traditional business models continue to experience disruption, companies are looking for any direction on where and how to innovate. And health has emerged as one of the biggest and clearest opportunities. According to a recent study, 81 percent of consumers are unsatisfied with their healthcare experience, leading many to seek added health benefits in the everyday goods and products they purchase. In a separate study, the same percentage of consumers are factoring a product’s health attributes when weighing purchasing decisions. There is a clear opportunity to innovate for health as we increasingly demand that our technology, food, and workplaces all support better health outcomes. 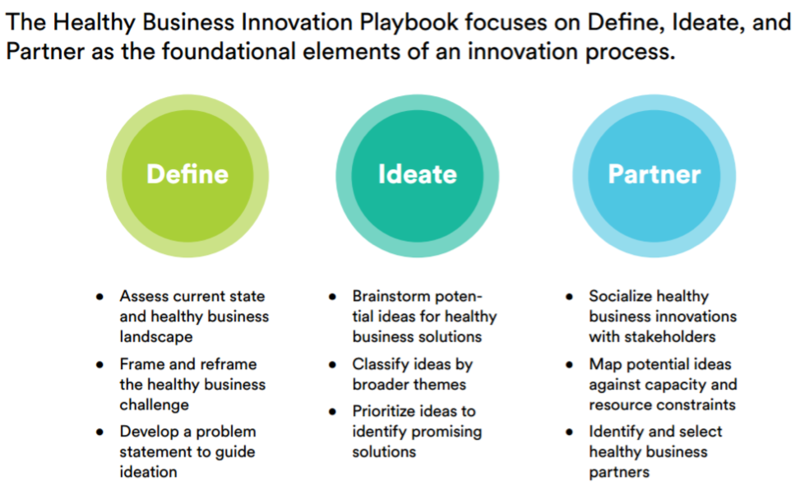 The new Healthy Business Coalition Innovation Playbook serves as an entry point for internal company advocates to innovate for health and well-being. 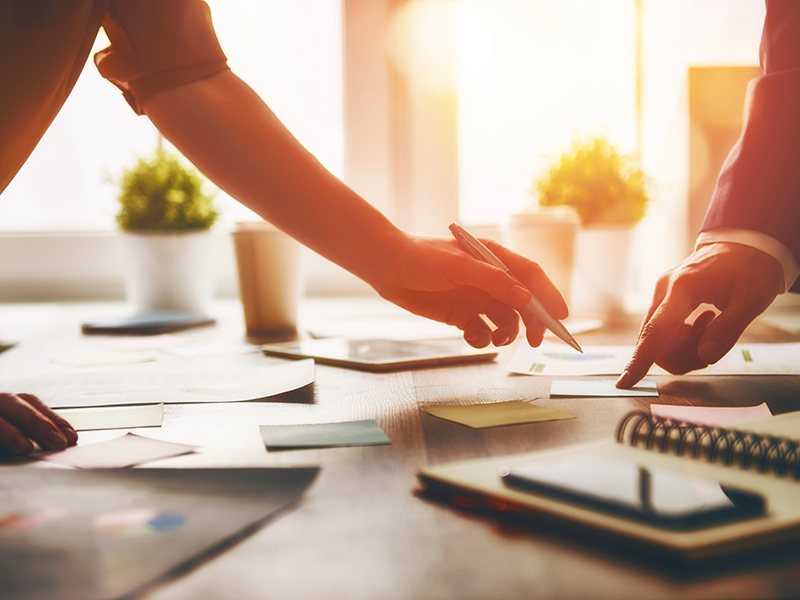 The playbook plots an innovation process to help companies integrate their healthy business strategy into the design of new products, services, and programs. Innovating for health is not merely bolting on health criteria to existing practices. Companies may already have established innovation practices for developing new products and services—but health innovation requires companies to bring in new perspectives from the beginning. 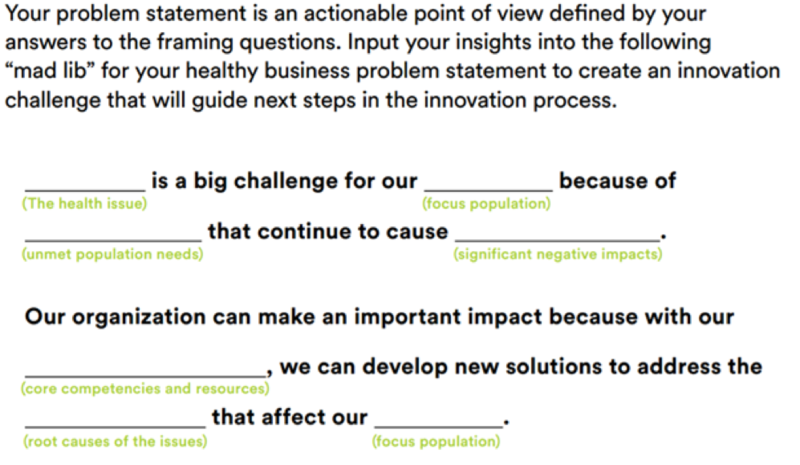 The playbook provides a foundation for healthy business innovation and sheds light on how to accurately assess a company’s opportunity to launch a new program. Innovation can be a lengthy and costly process. Fortunately, healthy businesses often have existing programs and even products on the market that improve health outcomes. Therefore, companies should take stock of current activities, performance, and capacity, as well as assess the broader health landscape. Then, healthy businesses can determine when to innovate and when to pursue partnerships instead. The innovation playbook provides tools to facilitate a workshop that allows for flexible brainstorming within an established framework. 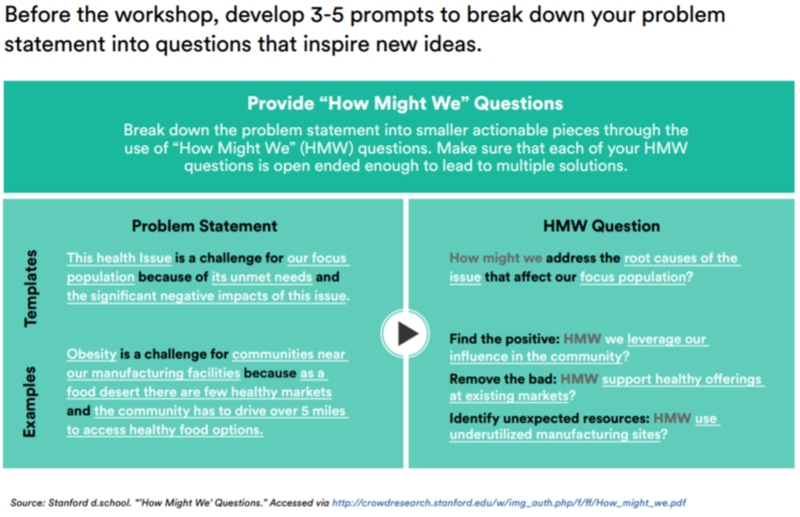 By turning the healthy business challenge into prompts, facilitators can lead groups to think through how to address specific challenges while providing enough freedom to allow new ideas to emerge. 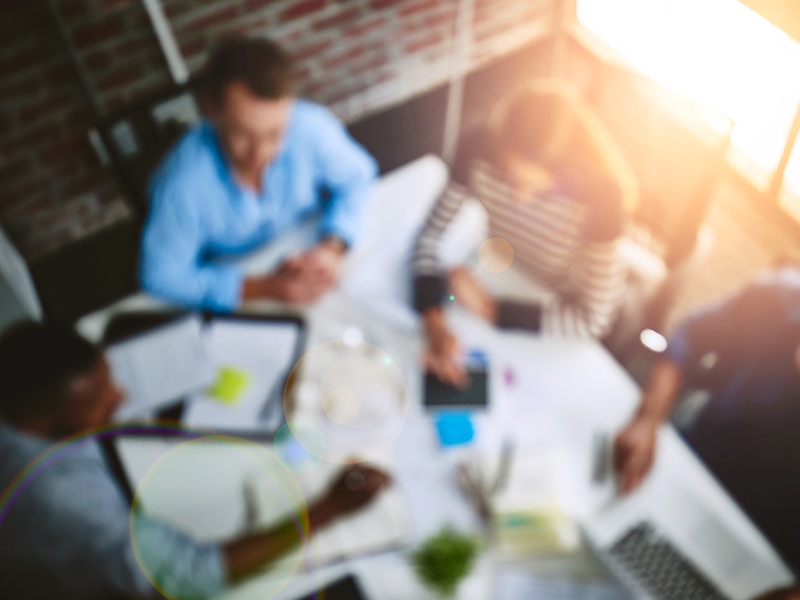 Traditionally, business innovation is confidential and internal, but there’s a growing trend toward openness and partnerships. Health is a systems challenge that requires a coordinated effort among likeminded organizations, particularly those with the resources and competencies to help a company deliver on its innovation. Companies should ensure the broader health ecosystem is engaged in prototyping, piloting, and scaling. 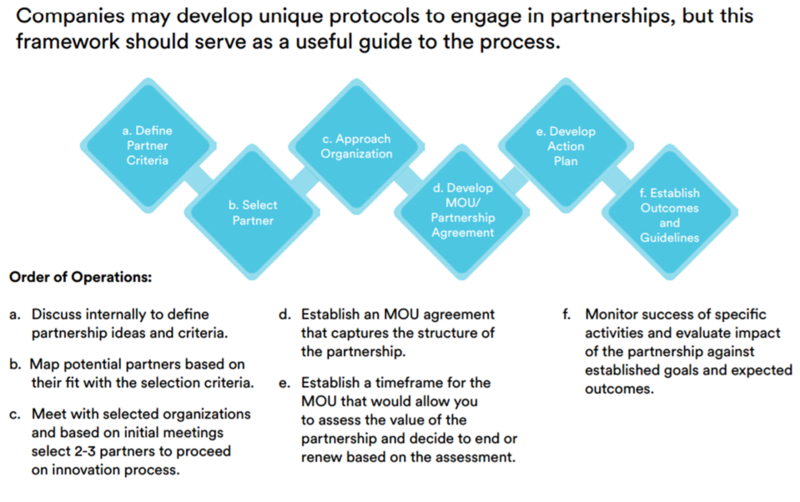 The playbook provides greater detail on the selection criteria and the processes for launching partnerships. The innovation process does not end with a partnership agreement—innovation never ends. The opportunity to improve and scale solutions doesn’t go away, which means that companies can always refine their programs and products to better serve their communities. This requires close collaboration with stakeholders. 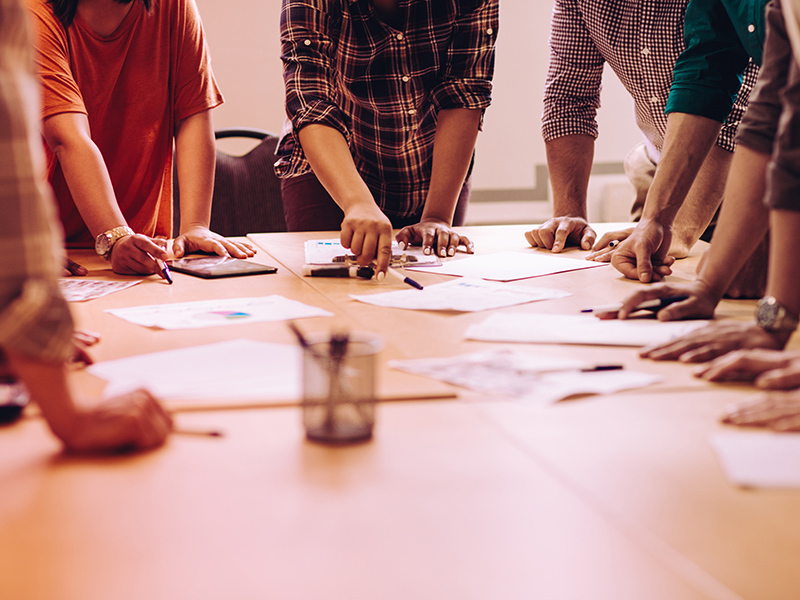 The next tool in the Healthy Business Toolkit will build on this process, plotting a path to ensure companies are effectively listening and collaborating with their stakeholders.